The role of viral vectors as carriers, to effect and manipulate expression of certain genes, has done wonders in the realms of medicine and therapy. Experts are now considering the possibility of the very same virus vehicles to instead transport cargo to the neurons of the nervous system. This would help them to understand and treat neurodegenerative disorders and other diseases more effectively in the future. At the California Institute of Technology, in collaboration with Heritage Medical Research Institute, the Molecular and Cellular Neuroscience Center and CLOVER (Clarity Optogenetics and Vector Engineering Research) Center, researchers have created two new variants of a viral (AAV or adeno-associated virus) vector meant for noninvasive gene delivery and interaction with the central and peripheral nervous systems. One, for carrying genetic material across the blood-brain barrier, and the other which can be absorbed by the neurons outside the Central Nervous System, so nerve cells responsible for respiration, digestion and other functions. Although the procedure involved a simple injection into the blood, the study was challenging as it entailed widespread delivery with non-infectious vectors that cannot replicate, and also required transport of genes to complex organs like the brain. In 2016, the group developed a new virus, AAV-PHP.eB, by altering the capsid of the virus to promote a more advanced and efficient diffusion of genes into cells of the nervous system. Lead investigator, Viviana Gradinaru, talked about the concept of the new viral models encouraging further research in the area of vectors and their capacities. 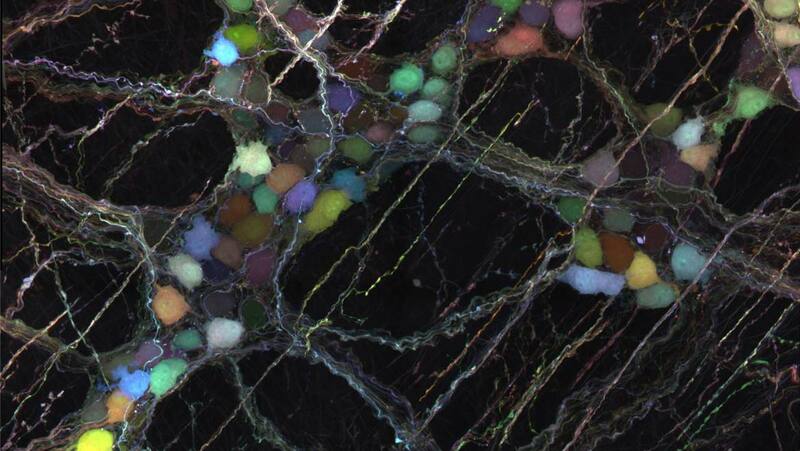 She said: “We are now able to get highly efficient brain-wide delivery with just a low-dose systemic injection, access neurons in difficult-to-reach regions, and precisely label cells with multiple fluorescent colors to study their shapes and connections." Following this, AAV-PHP.S was designed, using genetically-encoded tools, with a purpose of studying the vast network of the peripheral nerves. Director of CLOVER Center, Ben Deverman mentioned that this kind of testing and analysis could open up a world of information about the activities of the different neurons present. With several applications where the novel viral vectors can be utilized, what the innovators are most excited about is the ability of this revolutionary technique to invade regions of the brain and spinal cord and then implement the data collected in the diagnosis and treatment of complicated conditions like Parkinson’s, MS and Huntington’s. Typically, the differently stained AAVs are injected into blood and on reaching their destination neuron present a unique color. Thus, with the help of these viral vectors, particular cells can be identified and labelled due to the coding for fluorescent proteins. Tissue clearing is a method where biological samples are made transparent to provide a comprehensive view of the tissues. Using this technique, the team determined the size, shape, function and connecting fibers of a certain number of tagged neurons, as opposed to labelling too many, making it difficult to distinguish.